Our planet Earth was attacked by aggressive aliens. Humankind, united by single goal, managed to build heavy weaponed and armored truck. It was the truck that was the sole hope of the entire planet Earth habitants. Destroy bases of the aggressive aliens for the sake of humankind.Download free full version game today and start your battle! 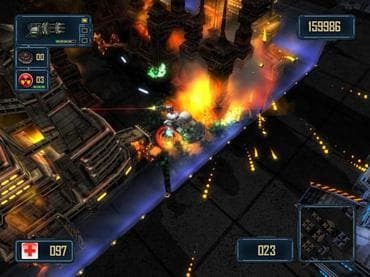 Free Game Features: - Real action game, vehicular combat; - Modern 3D graphics; - Extraordinarily addictive game play; - Unique power-ups; - Gorgeous effects, huge explosions! - Original soundtrack and powerful sound effects; - Unique power-ups; - Save / Load game option; - Game statistics; - Free full version game without any limitations. If you have questions about Alien Terminator Deluxe game, please contact us using this form.